Ice cream, birthday cake and cookies are typical treats that we use to ‘reward’ our kids, but did you know that nearly a shocking 30% percent of children daily calories come from added sugar? This implies that 30% of their diet comes from empty calories with no real nutritional value! As alarming as that sounds, it’s no surprise that too much sugar can cause tooth decay, hyperactivity and increase the risk for obesity and type 2 Diabetes even in young kids! Nowadays children as young as 12 are being detected with type 2 Diabetes! And yes, type 2 is not the hereditary kind but the diabetes that is incurred through poor lifestyle choices! The scary bit here is - experts say parents have no idea that all that sugar can also cause other chronic — albeit avoidable — health problems. One of the most common effects sugar can have on children are cold-like symptoms, said Dr. Julie L. Wei, a pediatric otolaryngologist at Nemours Children’s Hospital in Orlando, Fla. Wei said many of her patients complain of chronic runny noses, excessive mucus, cough and symptoms of sinus infections. Some kids are even diagnosed with allergies, without having any formal testing. 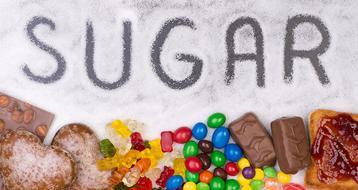 They’re prescribed medication but their symptoms may actually be due to too much sugar. Some children even have recurrent episodes of what looks like a recurrent and troublesome cough. These children go to bed seemingly healthy, but wake up during the night with a barking cough and show symptoms of belabored breathing. After she asked about their habits, Wei found that most of these children had a habit of drinking chocolate milk throughout the day. The combination of dairy and sugar takes longer to digest and is highly acidic. This means that food comes back up through the esophagus, touches the vocal cords and causes a laryngospasm. Often times, kids diagnosed with acid reflux are given over-the-counter medications that block the natural stomach secretion of acid and mask symptoms.